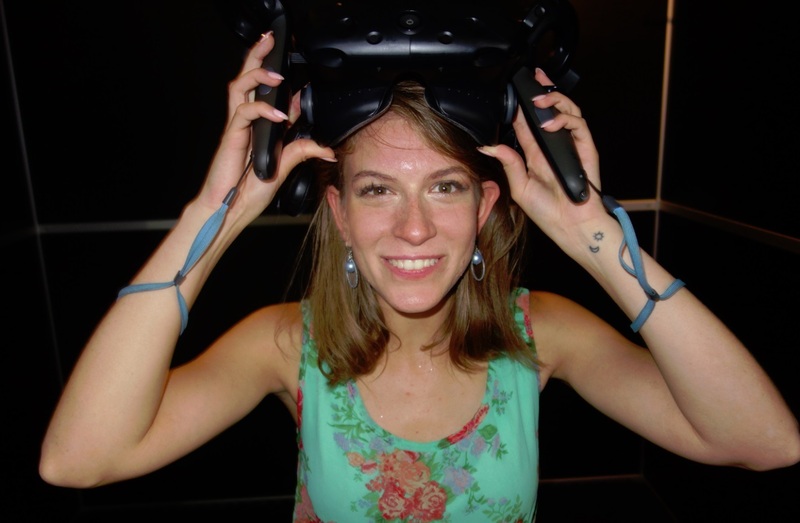 Virtual reality gaming is the next big thing for people on planet Earth, and VR playgrounds are now appearing in the most progressive cities all over the world. The demand for these immersive digital distractions is growing stronger everyday, one virtual experience at a time. 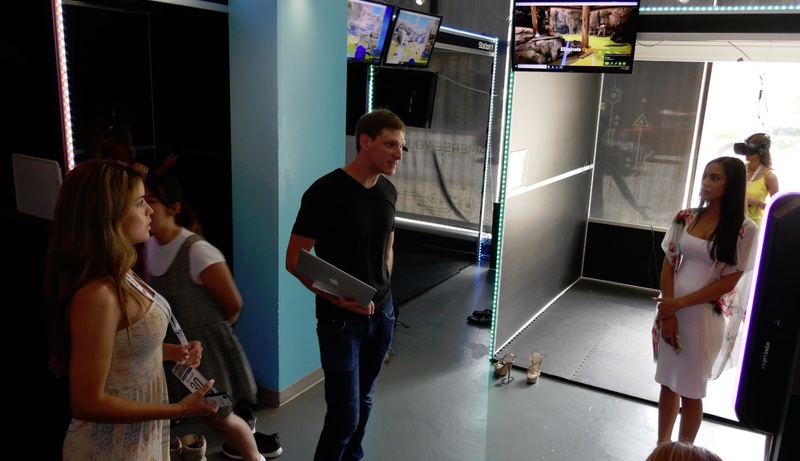 On Tuesday the 24th of July afternoon, DiVRge VR gaming arcade in Toronto hosted and duly initiated fifty-six more social mavens into their technology cult. 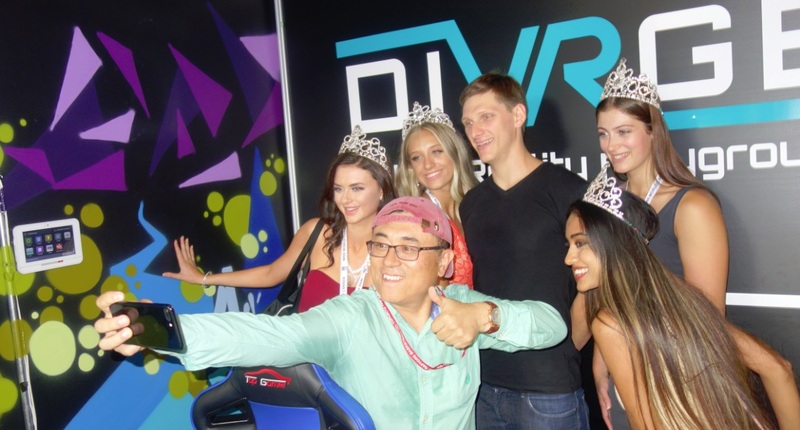 Owners, Greg Zoub and Kirill Moisyeyev seen above truly believe that anyone and especially the 2018 Miss World Canada delegates can be made to love and crave virtual reality. They predicted that once our contestants put on their headsets and experienced this new universe they’d never be satisfied playing Candy Crush on their phones again. Back up to before the delegates de-boarded the bus; Kirill went inside beforehand to brief them on the activities in store for them inside the arcade. Now special focus on the photo below is the tournament flow chart seen in Kirill’s hand. 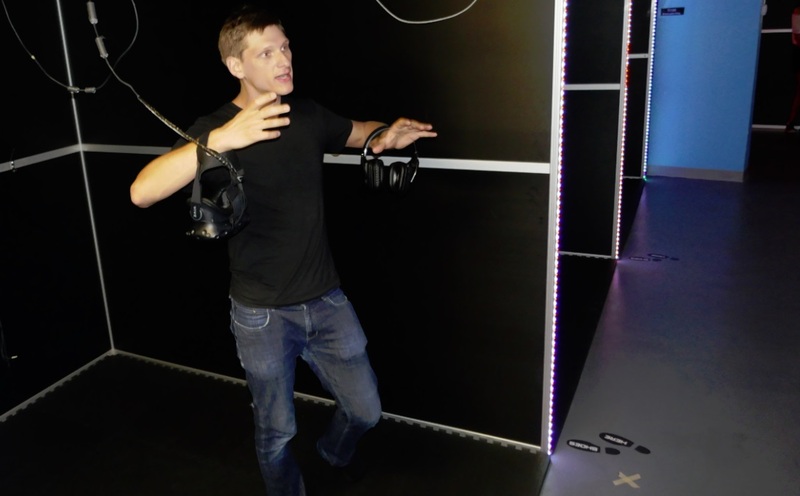 This wasn’t just an ordinary VR-gaming sample experience session, but rather it was a full fledged VR tournament with prizes! 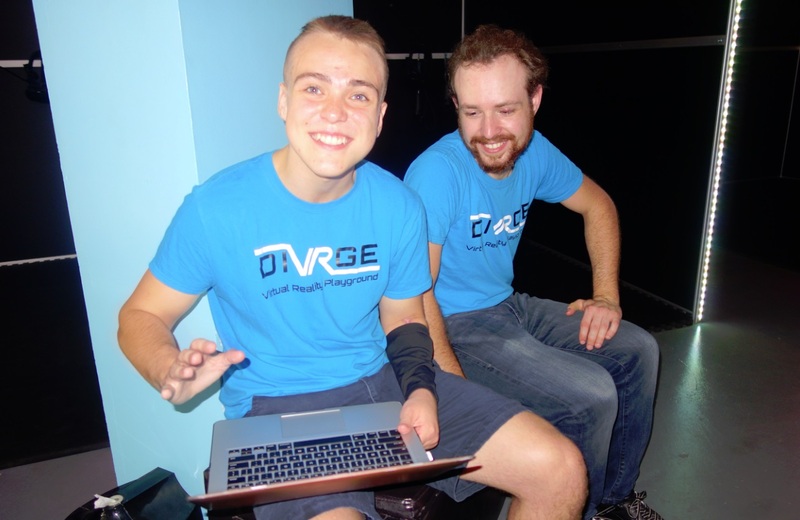 Located in North Toronto, DiVRge is GTA’s newest Virtual Reality entertainment center featuring 18 HTC Vive devices. The first thirty minutes were rather confusing to be honest. The staff of six inside the facility struggled with the sheer volume of competitors, and our delegates were more distracting and distracted than their usual investment bankers and real estate broker clientele. It was a new experience for everyone involved. First our entire congregation of fifty-six participants had to be reorganized into fourteen groups of four players each. Kirill Moisyeyev struggled a bit to get all the information out so things could get started. There’s a lot to learn. 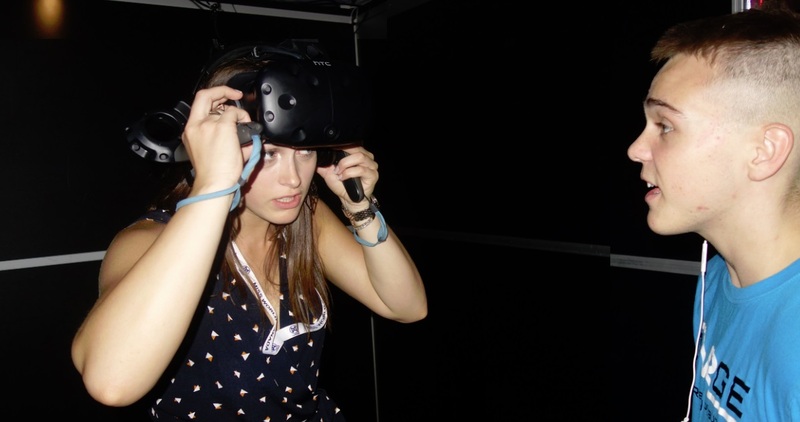 The cubicles were programmed so the groups would play in the same virtual environment. Booths 1,2,3,4 would play a game against 5,6,7,8 and so on, the winning groups would advance on the tournament score card. Every group had a two-word name and the various handles our people conceived (on the spot) were very creative. Next came a general order to remove all spiky footwear. Getting used to the controllers was difficult as they both vibrate but they do different things. One moves your body while the other controls a weapon or tool or becomes a hand that can block or grab things. The staff had some challenges setting up the large multiplayer environments – see this video taken on the day and you can kind of feel Kirill Moisyeyev’s pain and hear him losing his voice. People get dizzy inside too, and the urge to lift the headset and come out again is pretty strong when you first experience these synthetic surroundings. But, just as Greg and Kirill predicted, once the ladies learned how to fly and dodge projectiles, and then realized they could shoot each other, it was game-on. The Games: Skyfront is a fast-paced multiplayer first person shooter built exclusively for Virtual Reality. The game launches players into mesmerizing zero gravity arenas with an array of weapons and special abilities. Players soon discover they can fly; one hand controller points in the direction you want to move, while the other controls a gun which can be upgraded into a missile launcher. The Gear – VIVE devices are engineered from top down for optimized ergonomics. The headsets are easy to put on and take off any face and delegates who had played already would help others doing it for the time. Above, the ladies help each other slide the rig on and off, and tighten the straps. The rig’s chassis evenly distributes the weight of the device on the head to achieve an optimal center of gravity. Kirill Moisyeyev demonstrated how best to use the devices at the top of the day. The Staff at DiVRge are young and hip and fun and smart. They were ever-approachable and friendly, and never lost their patience with any of the participants. Below are Reese O’Craven and Kevin Badali (general manager). After a few hours everyone knew what they were doing, and the tournament heated up into the Finals. The social media made that day was once again powered by the Standard Telecom’s super reliable charging device. 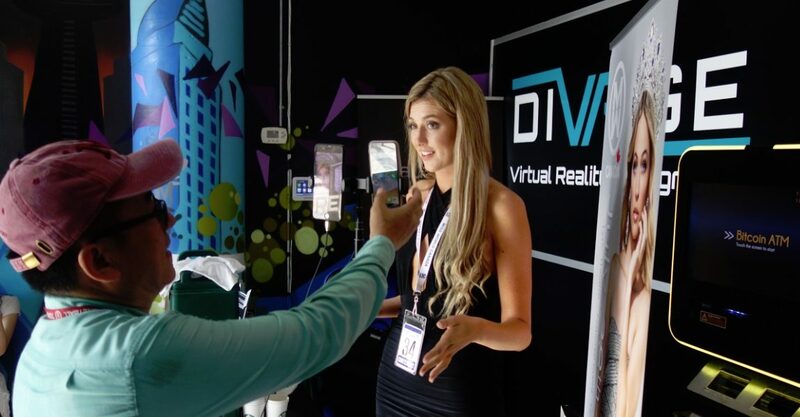 DiVRge was certainly a highlight in the 2018 week of wonders. Please like DiVRge on Facebook. 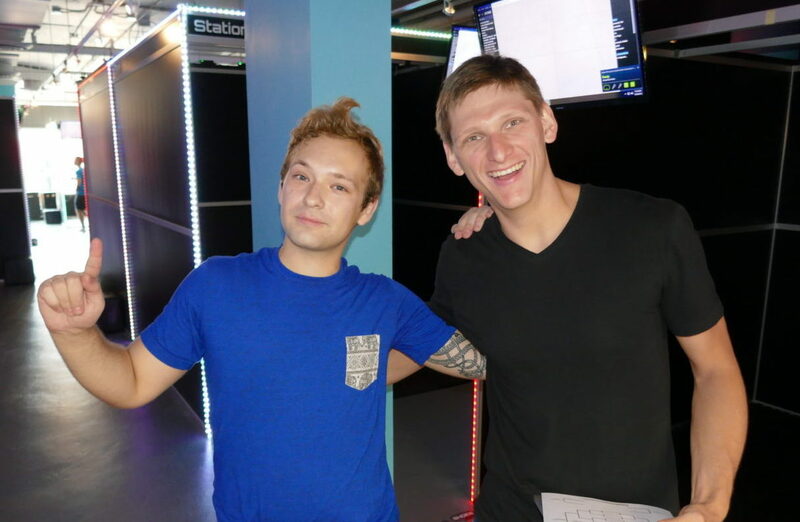 The Winners – the team with the most kills at the end of the day was Spicy Versachi. 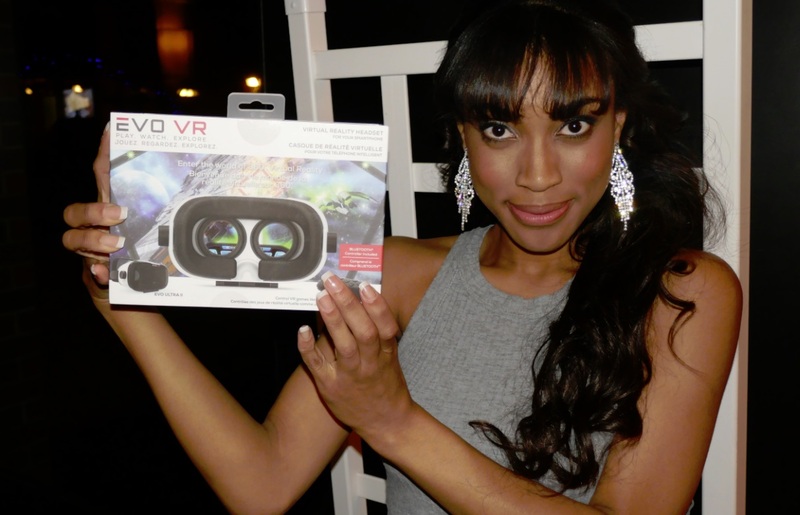 Prizes were new VR goggles for smart phones provided by a KPDI tech business incubator. and Fullstack Resources Inc web development shop in Toronto. Next the Delegates enjoyed fine dining at Pizza e Pazzi on St Clair in Toronto.